Liquid Pin Lock disconnect with 1/4" MFL threaded fittings. Threaded MFL connection allows for easy disassembly of lines for cleaning. 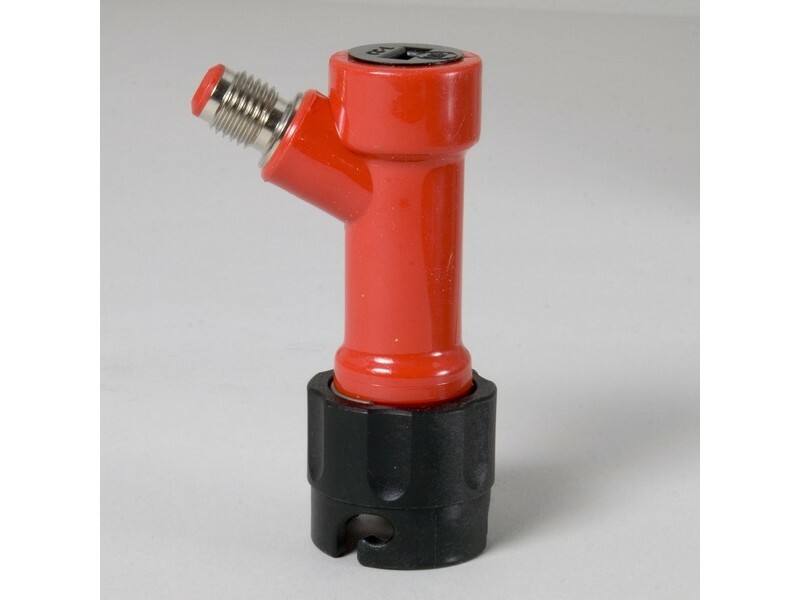 Connects to the liquid-out post on any Pin Lock home brew keg.Plus, the MFL connection also makes it easy to swap out this disconnect for a Ball Lock version (K011) if needed.Requires beverage tubingthat is equipped with a barbed swivel nut on the end. We recommend 3/16" ID tubing and the 3/16" Swivel Nut (K123) for the shorter lines in a normal kegerator. 1/4" ID tubing and a 1/4" Swivel Nut (K163) are ideal for longer draft lines.Our Foam Free tubing kits offer a ready-made solution with aPin Lock disconnect (KX09).